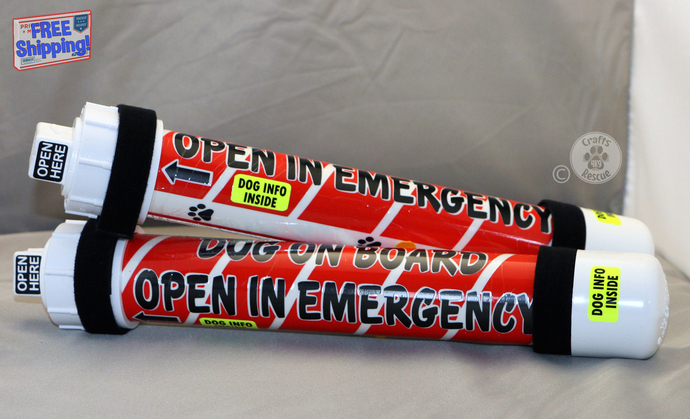 The tubes attach to dog transport crates, or other locations in your vehicle, to provide emergency personnel with critical information about your beloved dog in the event of an accident or other incident. 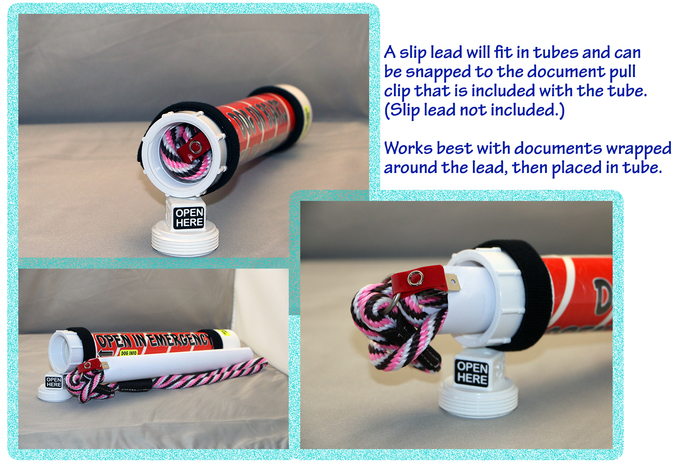 There's also room in the tube where you could store an extra slip lead, several copies of a ready to go Lost Dog flyer (just add specifics of the loss to the bottom of the flyer), etc. which may prove handy in an emergency. Constructed of 1.5 inch PVC pipe and fittings and labeled with exterior grade vinyl and black lettering, these tubes are tough and should not degrade with time or heat. All materials are new and washed, however they may contain slight imperfections and manufacturing markings commonly found on PVC pipe and fittings. 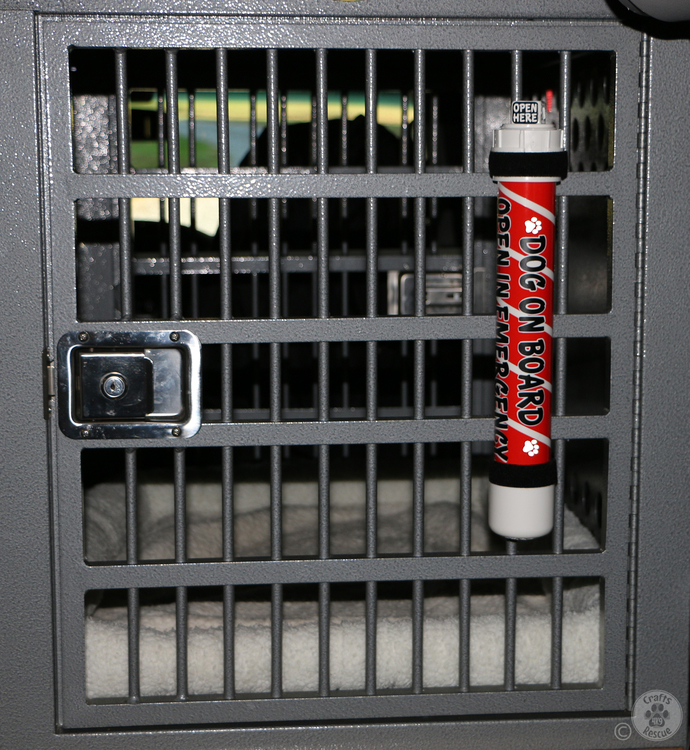 Two velcro straps are provided to securely attach the tube to your crate or other object. Access the tube contents by unscrewing the "Open Here" labeled threaded cap, the other end is glued shut (and the fitting for the threaded cap is glued). Total length is approximately 14 inches. Tube contents are easily removed with the provided red clip tab that is easily grasped once the tube cap is removed. 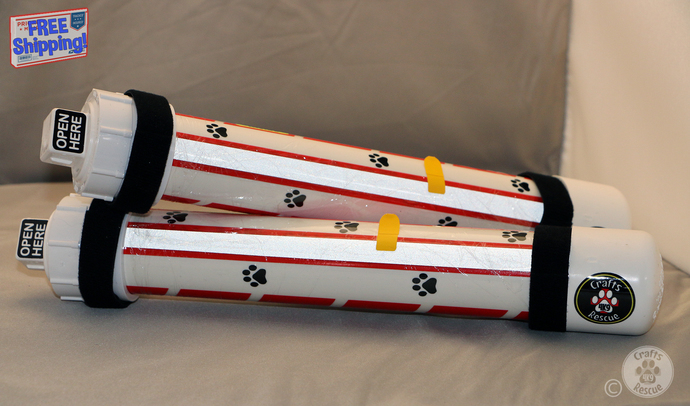 The tubes also have engineering grade reflective vinyl accents - silver reflective paw prints adjacent to the "Dog On Board" lettering, a reflective strip on the back side which covers the manufacturing markings, etc. NOTE - this listing is for one (1) tube labeled "DOG" on board with black lettering.